Check out my Jam with the Maybach Stradovari S61 in aged olympic white. The guitar feels just great and plays awesome. I’ve never been a Strat guy but this one just made me play on and on. Get “The Remote Sessions” now! I am really excited to present you my new EP “The Remote Sessions” featuring Rachel Gavaletz and Max Saidi. Get your digital download today and listen to three classy songs. “Ghost Town” is out now! 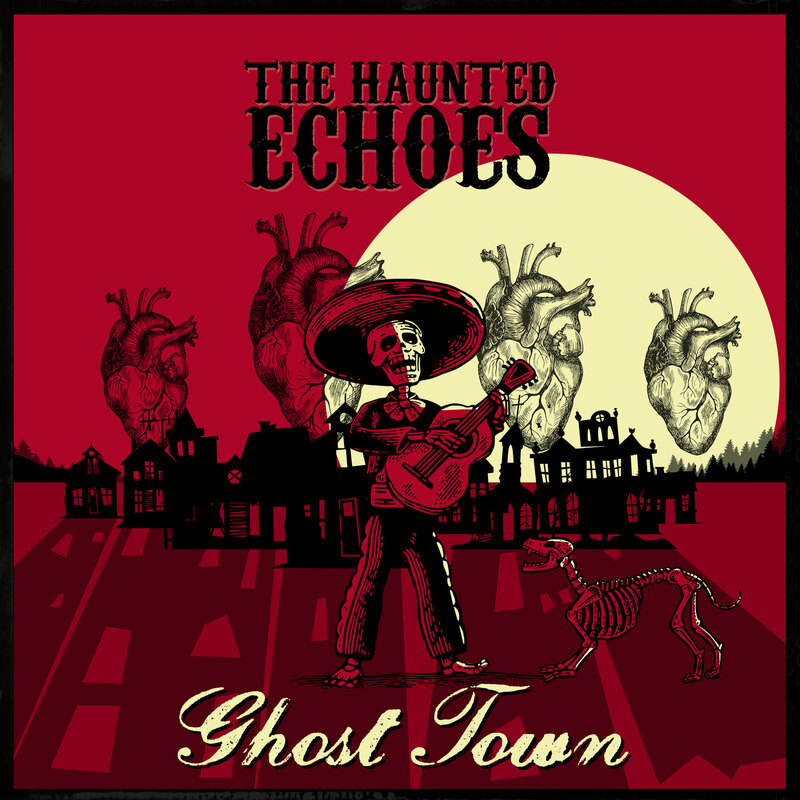 The debut single “Ghost Town” is released. Get your copy here. Listen to the incredible voice of Rachel Gavaletz and enjoy the beautiful noise. Share it with your friends and enemies. 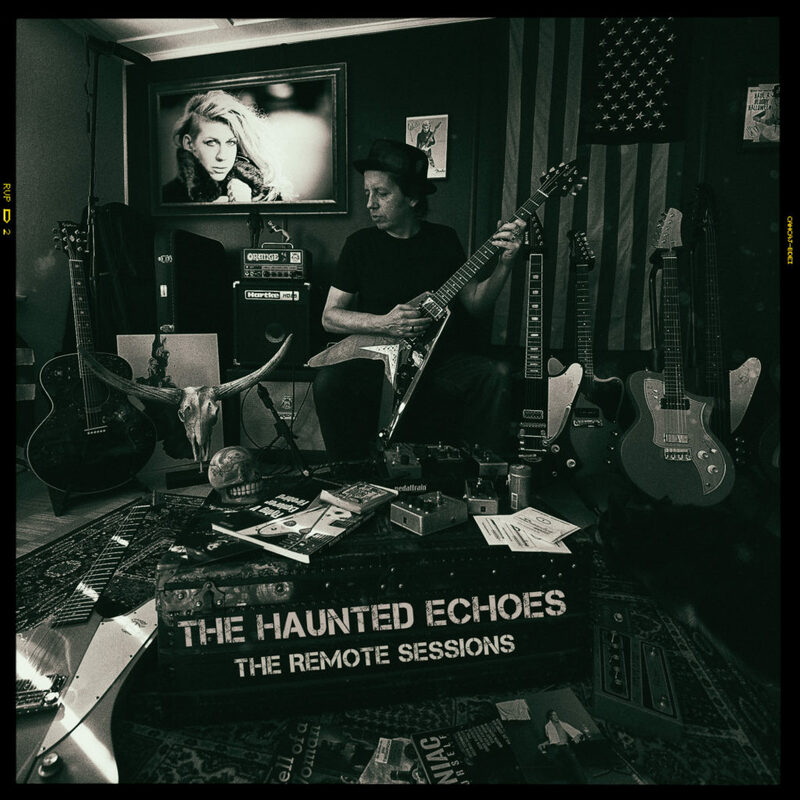 I recorded within a couple of weeks three songs for “The Haunted Echoes” debut EP “The Remote Sessions”. I limited myself to 24 tracks. Just like in the good old days. 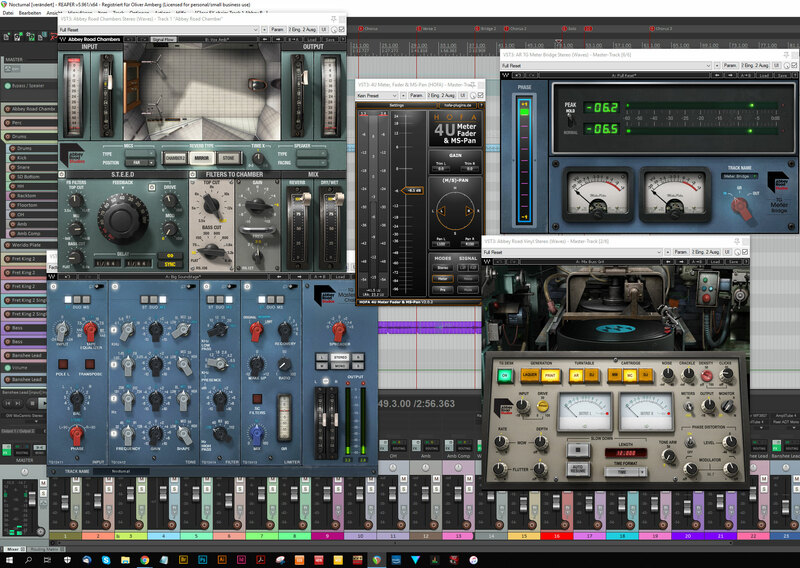 I used as many vintage emulated equipment as possible to achieve a raw, unpolished sound. Reduce to the max. What I did for the first time, was to send all the tracks to an Waves Abbey Road Vocal Chamber bus. This simulates to have the “band” in one room. I added this sound to the overall mix and it just worked perfectly. The Waves Abbey Road Vinyl Stereo plugin added some warmth, crackles and noise to the master bus. Not over the top but you can still see the meter active while no music is playing. When I record for Kissing Lucifer I use as many tracks as I like. Sometimes a hundred, sometimes 50 or 60. Since I reduced everything to 24 tracks (I don’t count the tracks for FX busses etc. ) I experienced a totally different sound, especially on the guitars. I use less gain, sometimes almost none for the rhythm guitars which leads to a real punchy sound. On the other hand I use some really weird fuzz octave sounds that are kinda ugly but beautiful. Kissing Lucifer always has tons of vocal tracks. Dave and Becky deliver plenty of great tracks. For “The Haunted Echoes” Rachel sung only a few tracks. The lead vocals weren’t doubled. Everything was stripped down and worked perfect. There are always many ways to achieve a certain sound. I have to admit, that I like the raw approach. Focus more the song itself than on a wall of sound. Mastering was done by Brian Lucey (Marilyn Manson, The Kills, Royal Blood etc.). He really did a fantastic job and mastered very musically. The EP “The Remote Sessions” will contain two more songs called “Crooked Crimson” and “Nocturnal”. During the mixing session of Kissing Lucifer’s album “Vertigo”, I already started to record the first song for my project “The Haunted Echoes”. When I’ve found Rachel Gavaletz, I knew I’ve found the perfect voice. The first single “Ghost Town” will be released on the 26th of October on all digital platforms. I also produced a lyric video to that song. 3 more songs are in the making. So stay tuned. Check out our website, subscribe to our newsletter and don’t miss the release.